This Care Improvement Plus Health Insurance Company Review delves into Baltimore, Maryland-headquartered Care Improvement Plus. 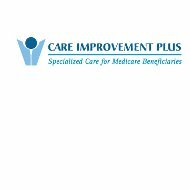 Care Improvement Plus is a Medicare Advantage organization. The Centers for Medicare & Medicaid provide the organization with a Medicare contract. CMS must award an annual contract to the organization. For that reason, long-term insurance coverage by the company is not certain. Health insurance benefits, including the pharmacy provider network, prescription medicine distribution, and premium payments may change from year to year, according to the company website. If you would like to save money on health insurance rates, request completely free health insurance quotes by providing your zip code! Then keep reading about the Care Improvement Plus plan to determine whether the plan meets your needs and requirements for health insurance coverage. We provide contact information, benefits, and special programs offered by the organization. Members of Care Improvement Plus Dual Advantage, a regional preferred provider network, must enroll in their state’s Medicaid Program. The insured must be classified as a “dual eligible” beneficiary for Parts A and B cost-sharing services. The Special Needs Plan helps chronically ill people to avoid serious health complications like blindness, stroke, amputation, or heart attack. Care Improvement Plus’s administrators believe the Special Needs Plan can help reduce health care costs as health insurance premiums continue to spiral higher. Members of the Special Needs Plan work with a dedicated nursing coach, a field nurse, and a health care officer. The goal of the plan is to help reduce unnecessary hospitalizations through education and proactive health care management. The Special Needs Plan expands preventive care, such as podiatry visits for diabetic patients to reduce foot damage. Patients receive special shoes, blood pressure and other monitoring tools, and free medical appointment transportation services. The program also helps medical providers support chronically ill patients. Members of the Special Needs Plan may be eligible to receive additional financial offsets for insurance premiums and/or prescription drugs. To determine eligibility for these additional programs, members should contact Medicare at 1-800-MEDICARE (1-800-633-4227), 24 hours a day/seven days a week; Social Security Administration at 1-800-772-1231 (between the hours of 7:00 a.m. and 7:00 p.m. Eastern Standard Time, Monday through Friday; or the member’s state Medicaid office. Financial assistance may be available to those living on restricted incomes (Low Income Subsidy plans). Medicare may pay up to 100% of prescription drug charges, in addition to the monthly prescription plan premium costs, co-insurance, or deductible costs. Beneficiaries’ spouses and caregivers may receive customized coverage from one of Care Improvement Plus’s regional preferred provider organization networks. The program received accreditation from the National Committee for Quality Assurance in Washington, D.C. The Centers for Medicare & Medicaid Services (CMS) were founded in 1977. Medicare and Medicaid offer health care coverage to millions of residents of the United States. Medicare pays for medical, prescription medicine, hospital, and other healthcare services for individuals aged 65 plus or for certain disabled conditions. Medicaid helps people with low incomes, according to parameters established by the U.S. Government. The Centers for Medicare & Medicaid are part of the U.S. Department of Health & Human Services. As a CMS contractor, Care Improvement Plus must serve the needs and goals of its client. Care Improvement Plus, as a health care quality improvement organization, operates on a non-profit basis. Each year, the organization presents a new proposal to CMS, recapping the work completed and work in progress. CMS then funds the organization. The organization uses a national network of independent insurance brokers and agents. The website offers an agent portal and a dedicated insurance agent line at 1-866-769-0849. Agents interested in marketing and distributing Care Improvement Plus Health Insurance products and services may email a resume and cover letter to the company at [email protected]. Agents have access to a constantly updated commissions earnings page on the Care Improvement Plus website. Agents may also submit a resume via the company’s website in the “Careers” section. If you are thinking about health insurance rates, compare your current premiums with competitive health insurance quotes by providing your home zip code! CIP (Care Improvement Plus) is a good program to get involved with – in Arkansas. When I moved back to Missouri for all around better health care, it lasted for about 6 months. Despite the fact that I told them where I lived and wish to continue the program, I received a letter yesterday afternoon that I have two days to find other health care supplemental insurance. The really bad aspect of this is – CIP is honored in Missouri. I should NOT be cut off. I did nothing wrong but go to a place where the range of health care is much better. I have had nothing but trouble with CIP. I called Sept.3rd and still did not receive the paperwork for cancelling the CIP insurance, even after two (2) phone calls. I want CIP cancelled as of Sept.30, 2013. The plan has none of my doctors, hospital or drugs. The person I talked to looked it up and confirmed the points of issue are not in the plan. you are a poor excuse for an insurance company. you lied to me from the start telling me you covered the hospital I go to and my doctors. You have just about place me in bankruptcy. Now I find out I have to pay $178.00 just for my insulin which I don’t have the money. These people lied to my elderly mother, telling her they were with the Social Security Office, then lied about unenrolling her. The Social Security Office will let anyone un-enroll from this Care Improvement Plus insurance company at any time because of their extremely poor ratings. I just un-enrolled my mom who has only been enrolled for three weeks after they talked her into signing up. Don’t let them tell you that you have to wait until January or any other time of the year to cancel, call your Social Security Office and they will help you. Don’t confuse a poor sales rep with a poor plan. CIP offers several different plans based on an individual’s health. They are very good at managing chronic diseases and still be being able to offer good medical care and additional benefits. Disenrollment in a Medicare plan has certain defined periods. CIP must follow CMS rules. A person CAN dis-enroll if they feel the agent did not explain the plan properly, did not verify the Doctors acceptance of the plan, or did not review the drug prescription coverage, however, under most situations, there is a specified dis-enrollment period. The plans between states, and even counties within a State are not the same. If you move, it is your responsibility to notify the plan, and they will help you enroll in a plan in your area. This is YOUR (or family members) plan. Be knowledgeable about what is expected from an agent, and from YOU. Life will be much easier. I like the plan. It offers options to people in rural areas that they have never had before. It puts a “maximum out of pocket” ceiling on their health care costs per year. That is something that regular Medicare does NOT do! I made application to become a member of Care Improvement Plus Health Insurance Company on, yesterday, 12/30/14 for enrollment beginning 01/01/15. In telephoning the Sales representative, to speak again with,today, no one knew or how to contact that person! After spending hours during the enrollment process, I preferred speaking to the same person. I was disappointed that I was denied, what I consider a courtesy, to somehow, honor my request. So, I will try my best to receive good “customer service, if possible! I made application on yesterday, 12/30/14, to become a member of Care Improvement Plus Health Insurance coverage for 01/01/15. In telephoning the Sales agent, today, not one of the other reps knew or could notify that same person I had spoken to previously! I preferred speaking to that person only. We had a lot to discuss in order to build confidence in this product for me to change plans if approved! I felt disappointed and dissatisfied with not having a way to contact the particular, agent who helped me. I have been working in doctor’s offices in insurance over 30 years. This is the worse company I have every dealt with. Request for medical records are being sent to the doctor’s office, nursing home, & local hospital. Request are for anything from an office visit, injections, dexa scans, labs, etc. I have spent 3 hours on the phone with Care Improvement trying to get record request sent to the right address,the doctor’s office. I was finally told that a request was being submitted to correct the address, but to give it 7-10 days. You have 30 days from the date of the request to send the records. Then the request only has the date of the claim and does not state what procedure they want records on, ex: patient has an office visit, injection, dexa scan or other service on the same day resulting in numerous claims. Our office is sending everything done for that day because we have no idea what they are wanting. There is no fax number so it is getting real expensive to copy and mail records. I have asked about getting reimbursement for the record fees, but I have not gotten an answer. I am going to attempt an email to get the name of our network representative. A patient had a complaint of vaginal discharge, they denied the pelvic exam. This is just 1 example of what this company does. If we receive payment, it takes months and months before we receive anything. They pay a few cents interest for not paying in a timely manner. How can a small town doctor’s office stay open when dealing with a company like this. They can pay for their nurses and staff to go see patients, but not the doctors. Their staff will call and leave messages telling the doctor what needs to be done. This is interfering with the doctor’s ability to treat their patients. If patients need home health, the doctors will order it. Patients need to communicate with their doctors or Care Improvement needs to open its own clinic. I didn’t want to leave a rating because I don’t feel the rating is low enough, but it is required. Plain and SIMPLE—–Just A sorry ins. co.-inc. the agent that sold me this CRAP !!!!!!!!!! I spent 1 1/2 hours on the phone trying to determine why I received a bill for prescription coverage that we denied both previous years. I am 100% disabled vet and get all my meds from VA. I don’t need prescription coverage. Found out that the plan has changed and I have no choice but to accept the coverage. I will cancel as soon as I can and hope they enjoy the extra money we will be spending even though we will never use the plan. What a rip-off. What a devious way to get more money. I thank you for recognizing my service to my country by ripping me off extra money each month. As a billing agency, I am VERY disappointed in the customer service for Care Improvement Plus. It is located in a country that has such a difficult accent you can hardly understand what they are saying and with the language barrier it is difficult for them to EVER resolve an issue because they keep stating the same script over and over. I hate this concept that most all insurance companies have taken to. It is beyond frustrating most of the time.